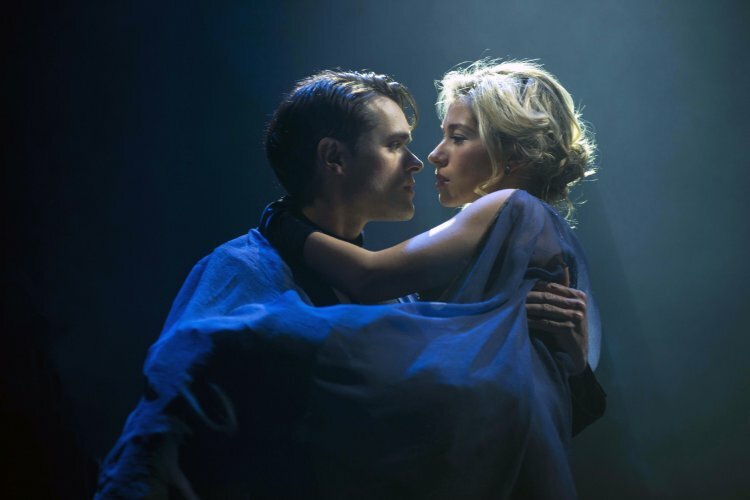 The UK premiere season of 2011 Maury Yeston musical Death Takes A Holiday is as exquisitely sung as it is handsomely staged. Sharing the characteristic quality of Yeston scores, the music has a rapturous beauty and is an absolute pleasure to hear. From the opening bars onwards, it is clear that musical director Dean Austin has prepared the singers and the band of ten musicians exceedingly well. The opening company number “Nothing Happened/Centuries” sounds gorgeous, and the reason become clear as the performance continues: each and every cast member has an excellent singing voice; there simply is not a weak link among them. 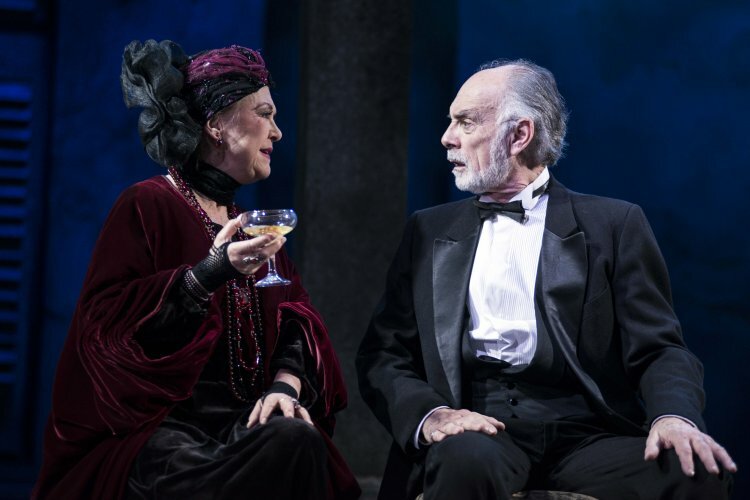 Original play Death Takes A Holiday was adapted by Yeston and book writers Peter Stone and Thomas Meehan as a slice of swoon worthy romance flavoured with a supernatural conceit that is surprisingly easy to swallow. Death comes for Grazia Lamberti, who has been thrown from a speeding car as her family and friends return from celebrating her engagement. Touched by her vitality, and exhausted from collecting souls during World War I, Death decides to grant Grazia a reprieve. Occupying the body of handsome young Russian Prince Nikolai Sirki, Death takes a holiday, spending the weekend at an Italian villa with Grazia’s family. 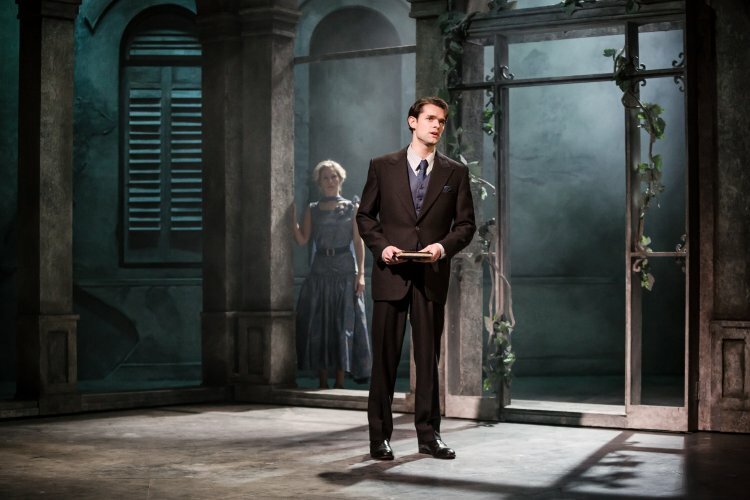 While the swiftly blossoming romance between Nikolai and Grazia is the key focus, Yeston deepens the musical’s emotional heft by including songs for the other characters. Once exposition is covered, the subsequent flow of songs envelopes the audience in the loveliest of music and lyrics. Arguably the best song in act one comes from new arrival Major Erin Fenton, who fought in the war with Grazia’s brother Roberto. In “Roberto’s Eyes,” Fenton recants his memory of the moment that Death came for Roberto. Act two features one gem after another, climaxing in Grazia and Nikolai’s stunning duet “More and More.” (Thankfully, Yeston provides more of “More and More,” with a reprise at the finale.) Grazia and Roberto’s mother Stephanie sings of her loss in the touching ballad “Losing Roberto.” Grazia, her sister Alice and their friend Daisy, lovelorn all, sing the gorgeous trio “Finally, To Know.” The elderly Contessa and her long-term companion Dario share the moving duet “December Time,” a song that brings to mind the Strauss’ duet “Still” from Titanic. Director Thom Southerland ensures that the cast are committed to the mystical scenario so that the story beats land with authenticity. Southerland shows a confident hand in using cast members, particularly those playing servants, to move the sets and props quickly and efficiently so that there is an instant cinematic flow from one scene to the next. Death Takes A Holiday is produced at a highly impressive standard given the relatively modest off-West End location. Set designer Morgan Large has provided an ingenious construct that utilises fold-out walls of archways on each side of the stage. Painted grey, and rendered for a tactile, aged look, these panels have a multitude of positions that can be used to portray hallways, bedrooms, dining room, doorways and more. 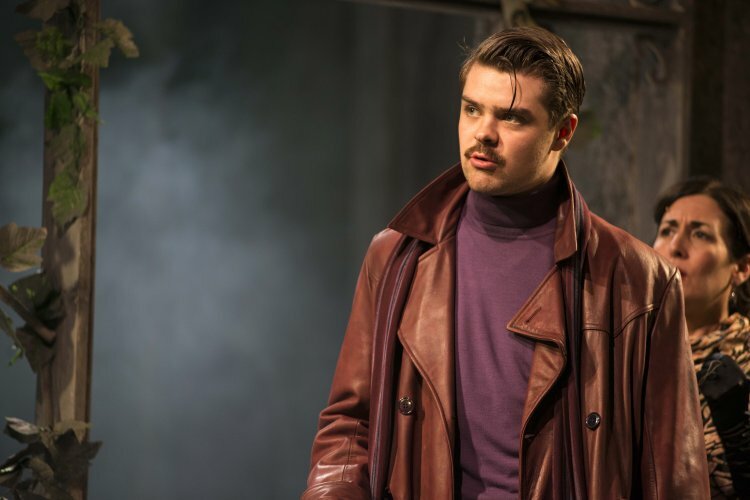 Matt Daw’s lighting design helps to vary the look of each setting, using plenty of haze to add to the spooky atmosphere of the villa. Daw also uses light cleverly to show the difference between the shadowy Death and the beaming Prince Nikolai. Costume designer Jonathan Lipman distinguishes the classes and identifies characters clearly, all the while using a regal palette of rich crimsons and purples. While not a dance show as such, choreographer Sam Spencer-Lane makes the most of select moments to include lighthearted movement that reflects the levity of festive scenes. Striking tenor Chris Peluso is perfectly cast as the mysterious figure of Death and the charmingly handsome Prince Nikolai. 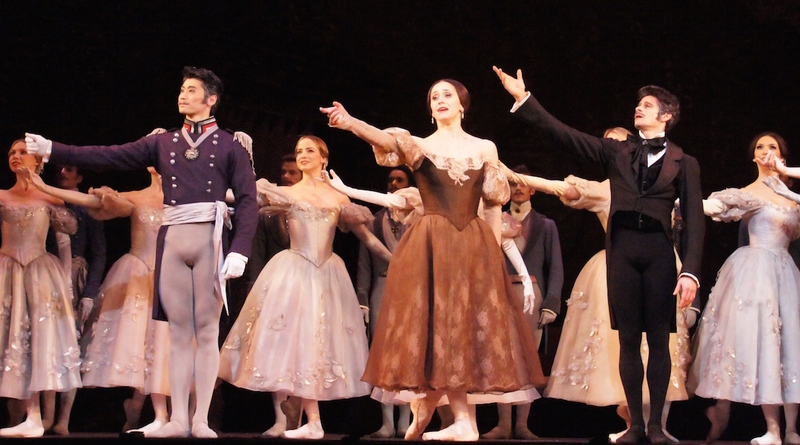 An intensely focused performer, Peluso’s handsome looks and gorgeous voice affect the characters and audience alike. Peluso successfully plays sinister drama, dreamy romance, light comedy and arduous angst, all without a trace of melodrama. Peluso’s climactic ballad “I Thought That I Could Live” is yet another highlight of his truly wonderful singing. 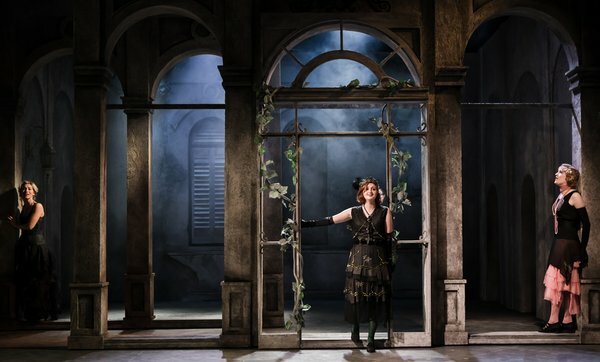 Lovely soprano Zoë Doano plays Grazia Lamberti with a similar level of gentle restraint. It is a credit Doano’s endearing appeal in the role that Grazia can so promptly discard her new fiancé and yet remain entirely likeable. Doano has a rich soprano, with a full bodied middle range and soaring high notes when she needs them. 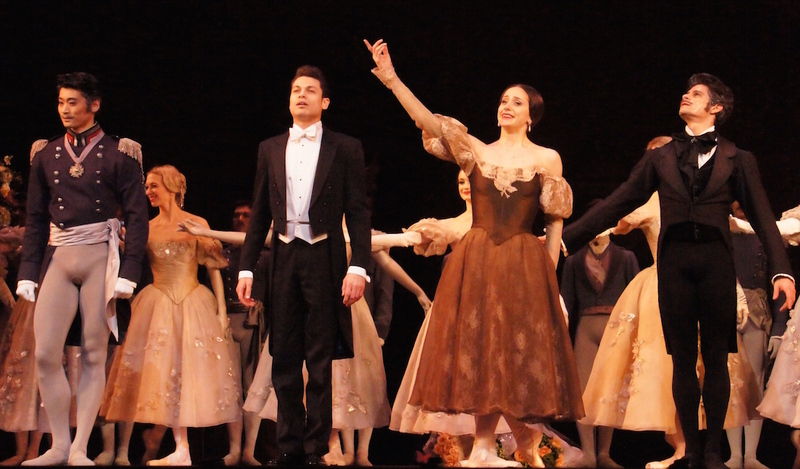 Doano and Peluso share convincing chemistry, and the central dilemma is keenly felt. Kathryn Akin conveys a warm kindness as Duchess Stephanie Lamberti. Duke Vittorio Lamberti is one of the only two characters to know the truth behind the presence of Prince Nikolai, and Mark Inscoe plays this angle most convincingly. Samuel Thomas gives strong support as Major Erin Fenton. Scarlett Courtney, as Daisy Fenton, and Helen Turner, as Alice Lamberti, are each charming in their roles. The singing voices of Thomas, Courtney and Turner add significantly to the overall quality of the music. 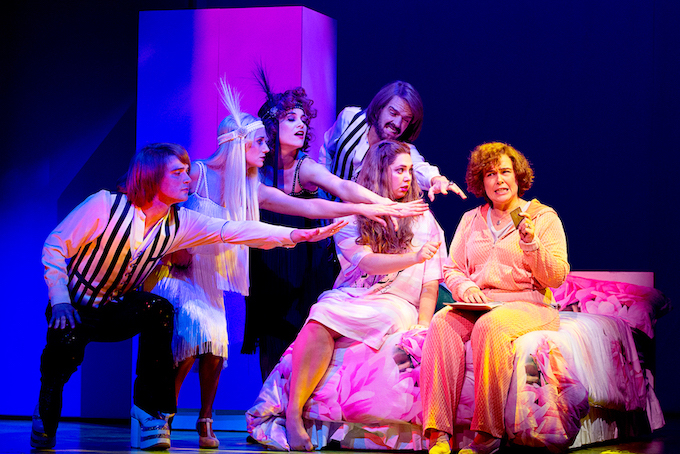 Stage veteran Gay Soper carries a delightful twinkle in her eye as Contessa Evangelina di San Danielli. Anthony Cable, as the Contessa’s doctor and long-term close friend Baron Dario Albione, brings a similar level of grounded experience. The pair is a delight as they play the all too rare subplot of a late in life romance between a mature age couple. Was I not on a plane home to Melbourne the day after being fortunate enough to see the first preview of Death Takes A Holiday, there is no doubt that I would have seen it again. The young man sitting beside me contacted friends at interval to arrange his return visit. 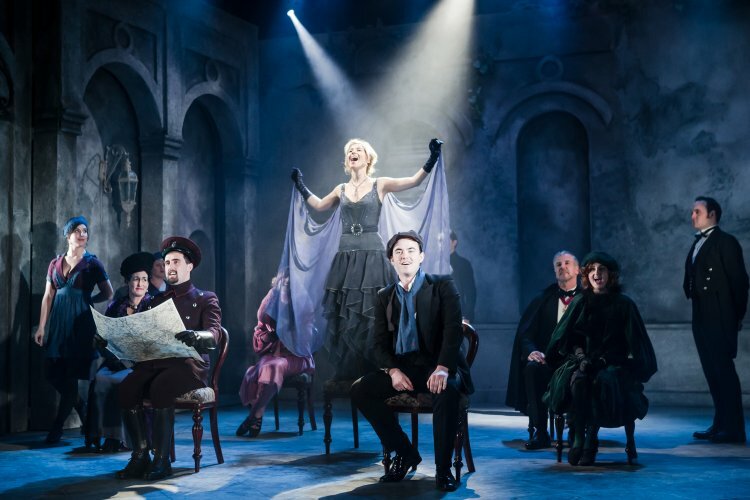 In short, London lovers of boutique musical theatre are urged not to miss Death Takes A Holiday. 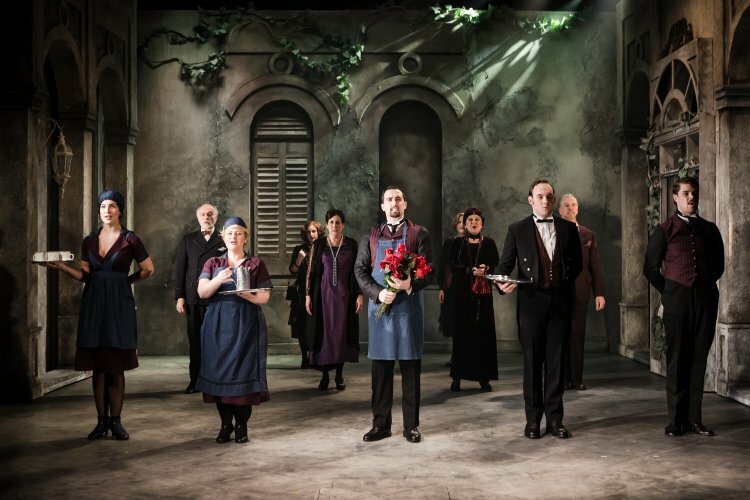 Death Takes A Holiday plays at Charing Cross Theatre until 4 March 2017. Note: Chris Peluso plays Death/Prince Sirki until 11 February 2017.